Allie is a pattern for your school girl. 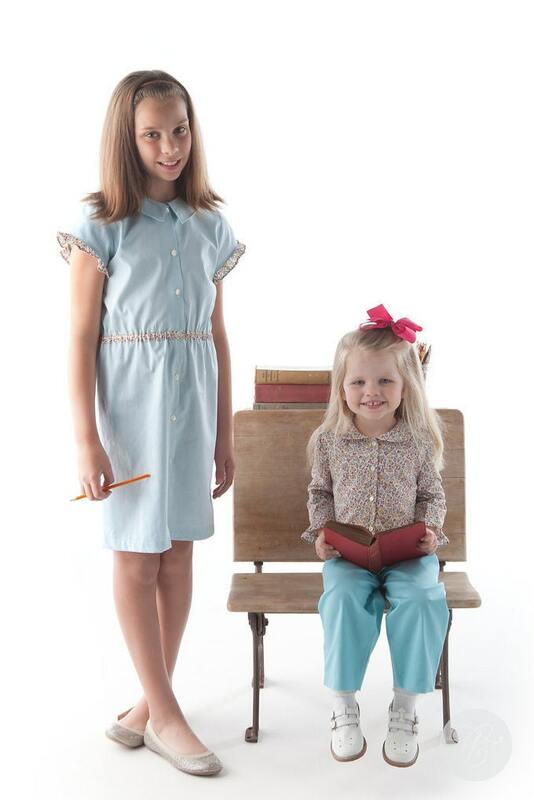 Allie is a fitted, unlined, buttons-in-the-front blouse or dress with interchangeable collars and sleeves. Choose from a classic Peter Pan collar or a pointed collar for a more mature look. 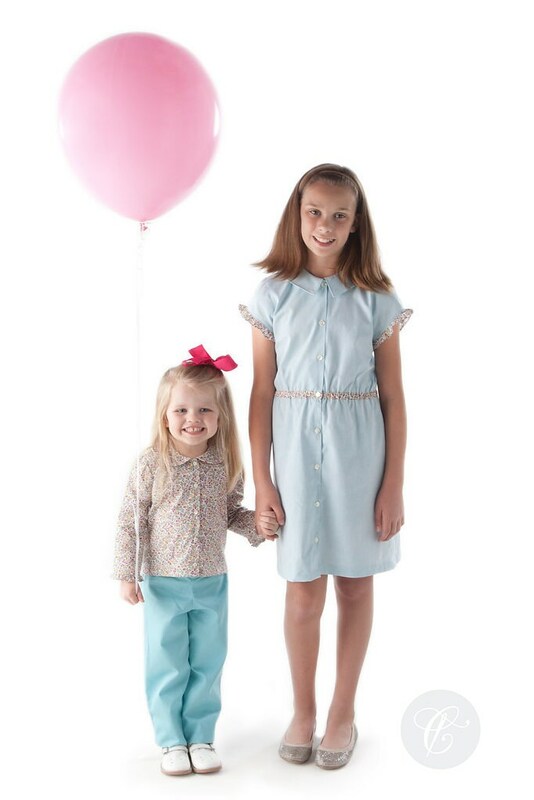 She will love the contrasting ruffle on a straight sleeve with a short and long option for year-round comfort. The dress has an elastic casing at the waist in a contrasting fabric. Pants are not included in the pattern – the pants featured on the cover are from the Children’s Corner Jane. This is our second pattern with new covers and instructions. We hope you enjoy the improved cutting instructions, sewing instructions, diagrams, and expanded size range. 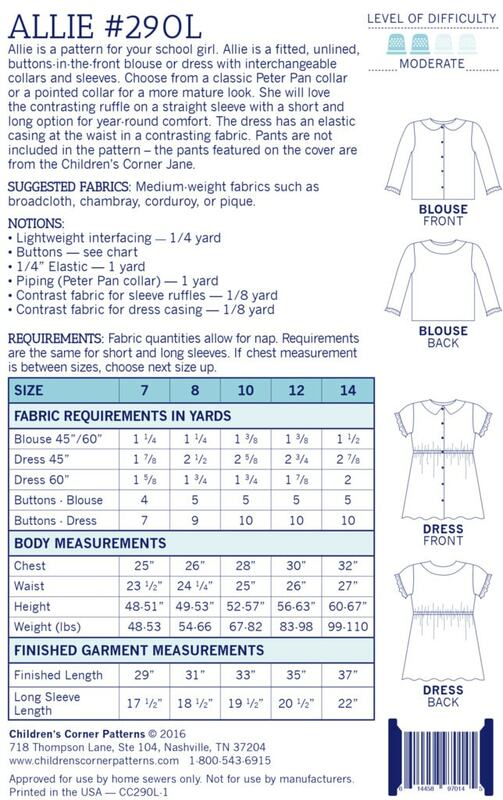 We encourage you to measure your child and use the measurement chart to determine your size, especially for sizes 6-14. Allie is a more fitted garment as compared to our older patterns. Available Sizes: Sizes 1-6 or 7-14. 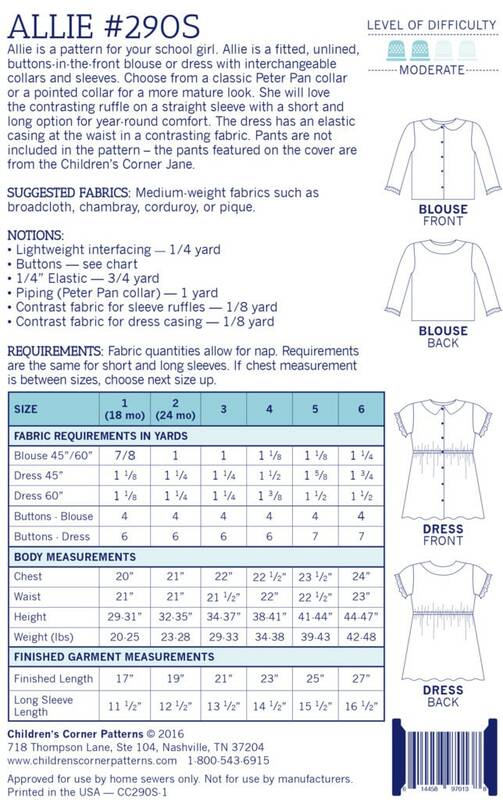 See Measurement Chart for correct sizing. If you have any questions, please just let me know. I love this pattern. Thank you!